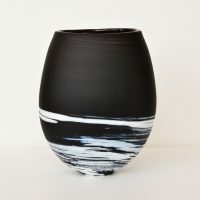 View cart “Exhibition Piece – Felt Fox in Ceramic Jumper” has been added to your cart. 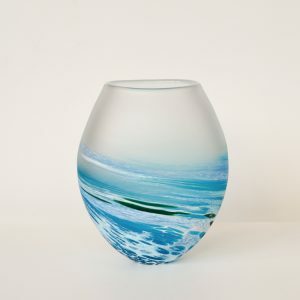 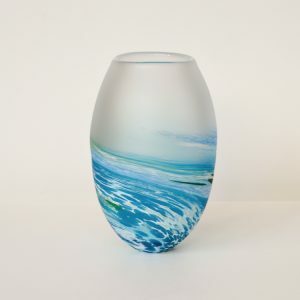 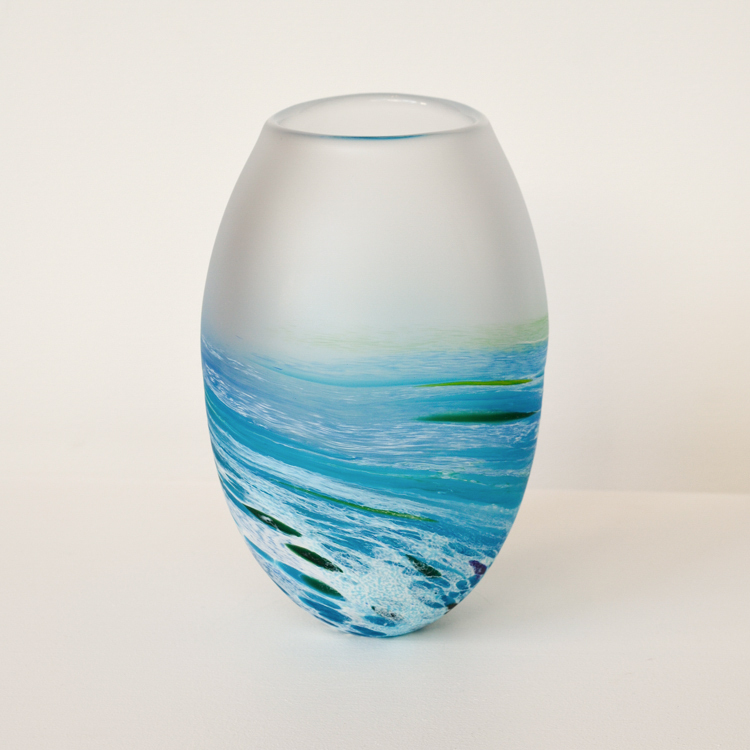 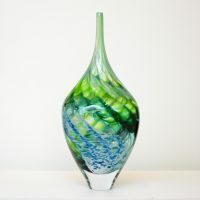 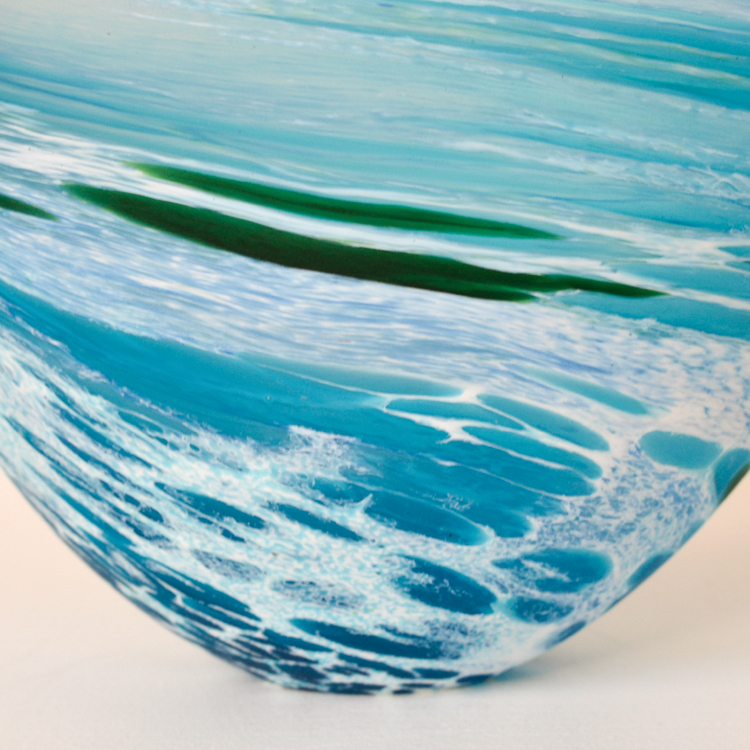 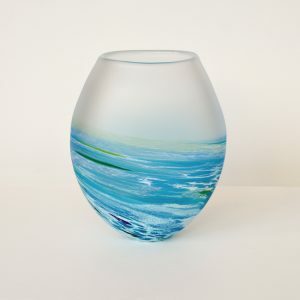 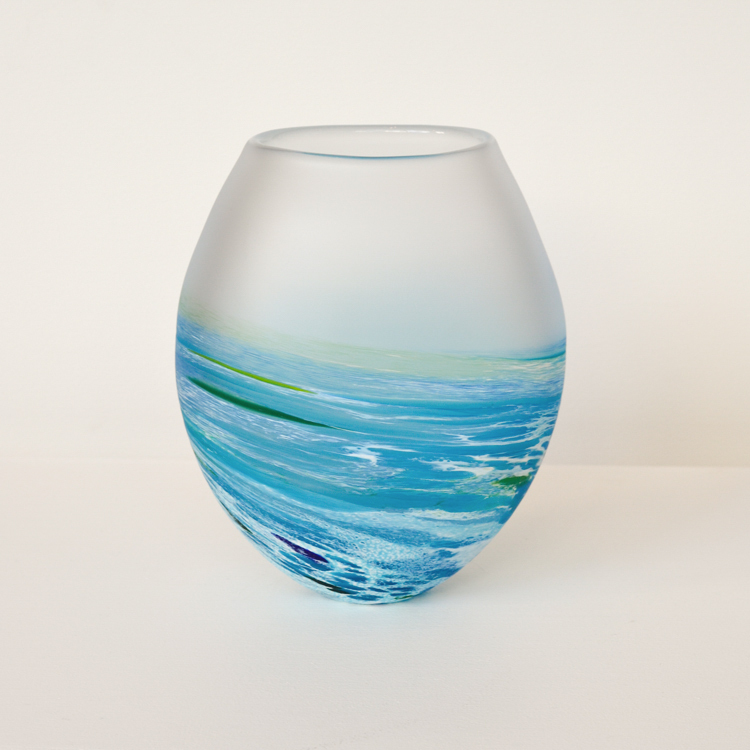 A sea and rockpool inspired slightly oval vase with a combination of blue, green and white spiralling up from the base and fusing into neutral frosted glass. 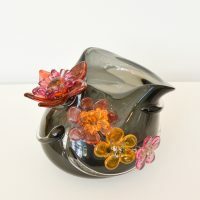 The vessel has a smooth and tactile surface.